Nestled in the southern part of Walt Disney World near Disney’s Animal Kingdom, the All-Star Resorts have been satisfying guests since 1994. Disney’s All-Star Sports Resort opened first, welcoming visitors with its colorful tribute to football, baseball, basketball, tennis, and surfing. Disney’s All-Star Music Resort followed, nodding to genres like jazz, rock n’ roll, country, calypso, and Broadway show tunes. 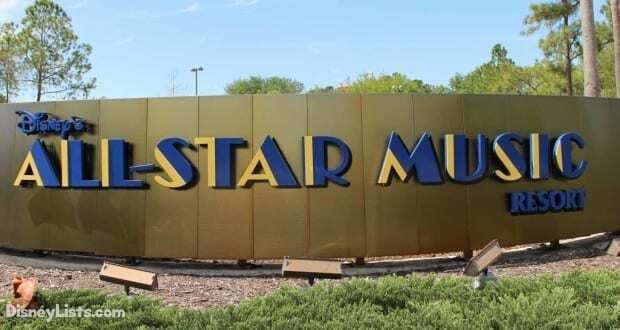 Paying homage to Fantasia, The Love Bug, Toy Story, 101 Dalmatians, and Mighty Ducks, Disney’s All-Star Movies Resort later opened for business in 1999. Classified as value resorts, these three draw huge crowds with promises of savings mixed with plenty of Disney magic. Imagineers designed the All-Star Resorts to express the charm and wonder of their respective themes with Disney characters splashed here and there. The All-Star Music Resort features the Three Caballeros at the heart of its main pool, and a host of instruments adorn its buildings. 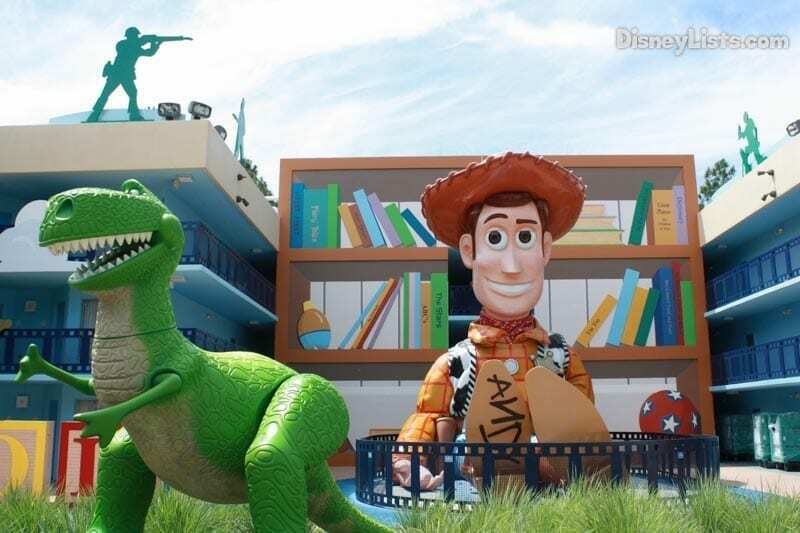 Buzz Lighter, Pongo, bucket-laden brooms, and others from the movies mentioned above appear in similar fashion at the All-Star Movie Resort. Admittedly, some of the represented films don’t enjoy popularity today, yet they stir up nostalgic feelings for many. Sports lovers will feel right at home in the athletic décor of the All-Star Sports Resort, and kids will enjoy the antics of Goofy, Donald Duck, and his three nephews. In addition to the resort design, cast members contribute to the pleasant atmosphere with their welcoming attitudes, excellent customer service, and professionalism. They ensure that the grounds remain clean and presentable. 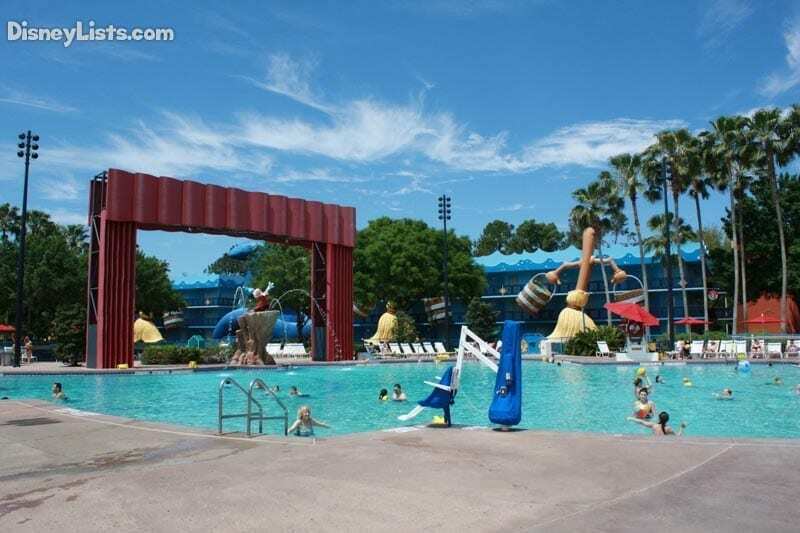 Of course, it is important to note that since they’re inexpensive, the All-Star Resorts are usually crowded, so seekers of tranquility should consider other Disney Resorts during peak seasons. Walt Disney World’s value resort hotels don’t deliver many amenities, but they do a great job with those they offer. The All-Star Resorts provide free Wi-Fi, complimentary parking at the parks, ATM access, swimming pools, and transportation to the parks. If you buy bags of souvenirs that you don’t want to lug around the theme parks, you can ship them to your resort’s gift shop. They don’t have a Children’s Activity Center to occupy the kids while adults go off for some alone-time, but in-room babysitting is available for an extra fee. For those celebrating special occasions, cast members can transform your room into a party space with festive decorations. Though your amenities at an All-Star Resort are more practical than luxurious, cast members provide them with excellence. The recreational offerings at Disney’s All-Star Resorts outshine most value-rated hotels in the region. The huge swimming pools give guests hours of enjoyment in the water, and smaller secondary pools handle the overflow when crowds are large. In addition, poolside movies are shown in the evening at the Calypso and Fantasia Pools, but the All-Star Sports Resort screens their evening movies on the football field. If walking all day in the theme parks doesn’t satisfy your exercise needs, you have plenty of space at these resorts to take a jog, and the kids can burn excess energy at resort playgrounds. Each All-Star Resort houses a food court and a pool bar at their central hub. The Disney dining plan rates them as quick-service establishments, although snack options are also available. Unfortunately, no table-service restaurants are found near the resorts, so you need to travel to a theme park or Disney Springs for high quality dining. You’ll find fast-food American cuisine (eggs, waffles, pizza, burgers, sandwiches, etc.) here all day with additional chicken, beef, pork, and fish entrees at dinner. Overall, the food is not bad, though not as tasty as similar offerings in the theme parks. Many grab breakfast here and dine at a theme park or Disney Springs for lunch and dinner. However, if you get back to your room late and your stomach won’t stop growling, they’ll deliver pizza until 1:00 a.m.
Disney’s All-Star Resorts only provide bus transportation, which can be frustrating if you’re rushing to make a reservation. The transportation system treats all three resorts as one destination, so buses stop at each of them before departing. As a result, overcrowding often occurs, especially during peak seasons. Buses may be packed to capacity, resulting in guests standing in the aisle or waiting for another bus entirely. Arrive at the bus stop 45 minutes to an hour before your reservation to avoid missing it. Of course, driving is more reliable, and parking at theme parks is free for guests. Also, expect delays when returning from the parks close to closing time. 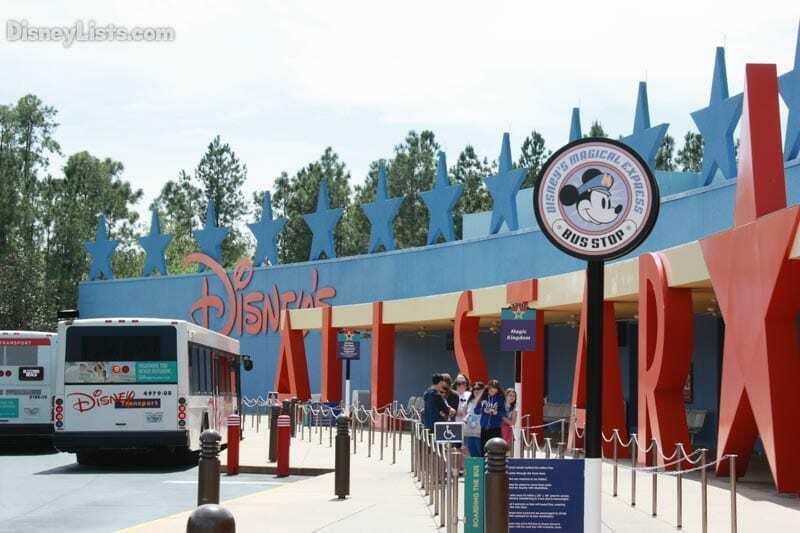 The transportation system may not be ideal at the All-Star Resorts, but it is generally reliable with buses arriving every 20 to 30 minutes. As long as you prepare yourself in advance to deal with wait times, you’ll be certain to avoid excessive delays. The rooms offered at all three resorts have similar décor, accented with bright colors, plentiful stars, and artistic portrayals of resort themes. When you arrive, you’ll typically be welcomed by a Disney-themed “towel sculpture” created by the housekeeping staff; it may be as simple as three circles in Mickey formation. Standard rooms come with either two double beds or a king-sized bed and features cable television, a bathroom, and a small refrigerator, but no coffee maker or microwave. You’ll have to march to the food court for morning coffee or microwave use. The rooms accommodate up to four adults, though two adults and two children would be a more comfortable fit, since they’re a bit tight. Preferred rooms are the same as standard ones, but with convenient access to food courts, pools, and bus stops. Be warned that preferred room guests may experience loud noises due to high traffic. Disney’s All-Star Music Resort also includes family suites that accommodate up to six adults with a queen-sized bed and convertible furniture. These suites also contain two bathrooms and a kitchenette with a coffee maker, refrigerator, and microwave. You won’t be able to create a home-cooked meal here, but at least you can reheat leftovers. Basically, if you plan to spend most of your time in the theme parks or at the pool and you just need a place to sleep, then the rooms at the All-Star Resorts are a great fit. Other than renting a campsite at Disney’s Fort Wilderness Resort, Disney’s All-Star Resorts present the cheapest option for staying on the Walt Disney World property. Depending upon the time of year, you’re likely to pay something in the range of $90 to $180 per night, a rate that competes with many of the value hotel chains located off-property. Despite the low lodging costs at these resorts, guests still enjoy the preferred status of staying at a Disney Resort, such as extra magic hours, free transportation, MagicBands, etc. 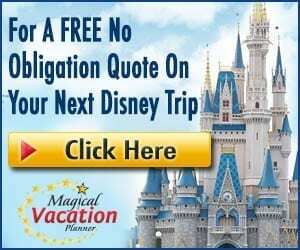 Certainly, you will make some comfort and convenience trade-offs by staying here, but overall, the resort delivers a pleasurable experience and promises to deliver on the magic that draws millions of visitors to Walt Disney World each year. 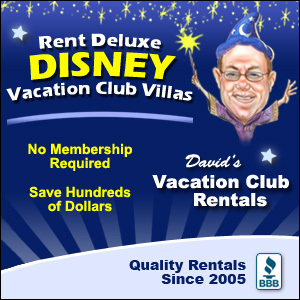 We recommend the All-Star Resorts to those with a limited vacation budget who desire Disney’s topnotch hospitality or those who find themselves always on the move and don’t require much pampering.